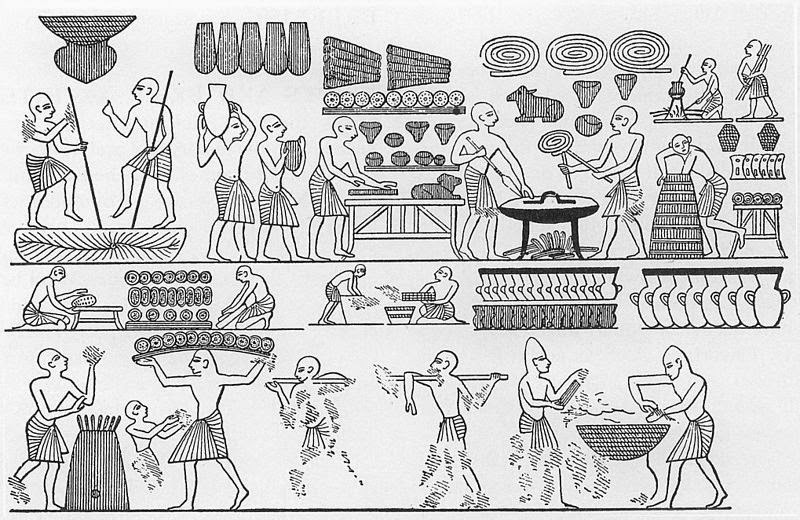 The Historical Cooking Project typically focuses on methodologies and practice. However, a large part of our work as historians is teaching -- either in the form of university faculty positions, adjunct contracts, or public outreach. As educators how do we engage our students in history courses? Today's post focuses on developing innovative pedagogical techniques. While the post will look at food history courses, these techniques are also valuable in non-food studies courses, as I will demonstrate with the case study of my Introduction to Sexual Diversity Studies Course. 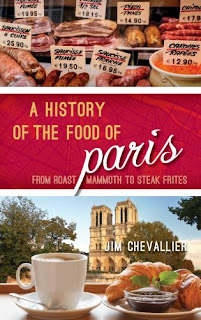 Food history/ food studies benefits from its simple connection to subject matter that people can relate to outside of an academic context. Everybody eats. Our classrooms are filled with a variety of learners. While some students are able to absorb information by listening to a lecturer stand at the front of the room, this tactic is quite limiting. Engaging more than one sense helps students connect with the material, keeps their attention, and helps make lessons more memorable and fun. Food history is particularly ripe for multi-sensory teaching experiences. Visual- At the very least you can show powerpoints with photos or engravings. Are there videos of someone making the dish? Perhaps you can have students work with ingredients or actually cook some of the dishes that you are talking about. Do you have examples tools/ devices/ gadgets that were used during the period? Tactile- Passing around cookbooks or primary source material that students can flip through and pass around is usually appreciated. Show and tell never ceases to be fun. Taste is a harder sense to engage in most courses, but with food history/ studies, is it possible for students to taste the dish/ food/ ingredients? Aural- Yes you are speaking in front of a classroom. Perhaps the class is a conference set up and students are also able to speak. But aural experiences go beyond words. McGill University Professor of History, Shanon Fitzpatrick, starts every lecture with a song from the time period she will lecture on that day. Emulating her methods, I try to play music related to the lecture theme and showing a diverse group of musicians and media sources during the term. When the song ends, the lecture begins. As an educator I do not see it as my role to make the students believe what I believe. Rather I want to expose them to a variety of opinions and expose them to the debates in the field. I want to work with the students to learn to analyze materials, become better writers, and leave my classes having learned about more avenues that they can explore in their academic and personal lives. Part of exposing the students to different perspectives and debates within the field is that I assign readings by writers from a diverse array of identity backgrounds and from different disciplines. Consider assigning two articles that disagree with each other for that night's readings. We also track the changes within the field over time (as knowing historiography is useful). I try to design my syllabus so texts later in the class reference the texts the students read earlier in the semester. Furthermore, I play short clips with writers from different identity and disciplinary backgrounds-- especially when the topic of the class is about a group that I am not part of. I also let my students know why I choose this pedagological technique and we discuss the meaning of standpoint epistemology. I want my students to experience university not as a space where they just come and consume and regurgitate knowledge. Rather I want to empower them to understand that they are producers of knowledge. Many students see writing papers as useless-- that they spend a lot of time writing something that has no impact and that no one reads. While the act of doing research impacts them personally and they hone their skills as researchers and writers, it is useful to think of the ways we can design creative assignments that get students excited about learning and actually can have some kind of impact outside of the classroom. During the summer of 2018, I am the course lecturer/ adjunct professor of Introduction to Sexual Diversity Studies; the course is capped at 50 students. Most years the course skips over the local context of Montreal and Quebec LGBTQ+ history. Even though the course is not a history course, historical context is important and I find that if students sense you are passionate about something, they often find it exciting too. Initially I wanted to bring students to the archives as a class field trip, but the space can only hold 10 people at a time and getting everyone there was becoming a logistical nightmare (especially when our summer semester is an entire semester compressed into 4.5 weeks!). Instead, archivist Jonathan Dorey came to our class and spoke with students about the mandate and collections of the AGQ. Students had the opportunity to rifle through archival boxes, flip through papers, and view photographs from the 1960s until present. Students also had access to 83 digitized clippings, photographs, images, and other materials. From these materials, each student chose one or more documents/ images/ ephemera and analyzed those materials within Montreal’s historical context and the class. Then they wrote a blog post (still had to have a thesis statement) about their artifact/s and related it to at least one reading from the class. They were also allowed to use outside research. As we are located in Quebec, they could write in english or french. As it is a first year course, the posts vary in quality but most of the students seriously engaged with the materials. With the consent of the students, their writings have become a publicly available blog: Uncovering Montreal's LGBTQ+ History at the Quebec Gay Archives. Knowing that their research would actually contribute to knowledge about the history of the local LGBTQ+ made many students feel excited about the material. Students were able to apply what they were learning in lectures to what goes on outside of the classroom. 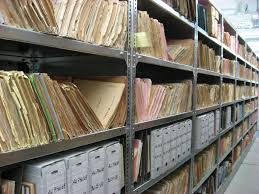 By learning about the archive and research process, students now are able to think through the methodologies of the articles they read in this class and other courses. They have also learned how to work with primary sources and may return to the Quebec Gay Archives for later projects. Making the blog public was also to help publicize the work of this fantastic archive that deserves more recognition. The archivists gave their time freely to the class and it was an effort towards reciprocity. Furthermore, creating a blog post allowed students to experiment with new forms of writing (although I allowed students to write more formally if they felt more comfortable doing so). In feminist studies/ queer studies, we talk a lot about the importance of making our work accessible. I wanted the work the students were doing in class to actually reflect those principles. Pedagogy is under-emphasized in postgraduate training. Teaching, especially at research institutions, is rarely given the credit that it deserves. As someone who personally is on single contracts as a lecturer/ adjunct, I am very aware of the exploitation inherent in that position and the exploitation of my passion. However, I am also priviledged to get to work with a class of (mostly) motivated students. As scholars of food history/ food studies or history more generally, how can we create assignments that engage students in new ways? How can we design our classes to embody the principles we discuss? How can we become better educators? How can we as educators use knowledge and methods as a way to empower our students to be explore, research, experiment, and want to contribute positively to the world?